According to family members who were out and about Thanksgiving evening, the parking lots at the Tanger Rehoboth Outlets were jam-packed with cars, and presumably so were the stores. It appears that some locals and Cape Region visitors were keenly interested in stretching Black Friday into Black Thursday. If local conditions were any indication, these shoppers may have succeeded on a national level. The next anticipated jump in Christmas season sales is the Cyber Monday after Thanksgiving. This first day back from the holiday weekend earned its name a while ago, as folks “borrowed” their company’s T1 Internet connection to make some quick online gift purchases. And now, with cable or 3G or 4G wireless access significantly speeding up home-based Internet connections, compared to the old dial-up method, Cyber Monday’s sales have also outpaced records set in past years. The Internet sales phenomenon is not going unrecognized by the folks engaged in the business of golf. On Thanksgiving evening, on the very next Sunday evening, and again on Cyber Monday, the gang at Taylormade Golf sent me emails that glowingly described their newest drivers and irons, as well as offering discounted sale prices on recent models. Myrtle Beach Golf also reached out, letting me know I still had a chance to snag some decent tee times for the late fall and winter season. They were touting discounts on their golf card program, as well. The United States Golf Association also joined in, sending an email on Cyber Monday to make sure I knew all the details about their offer of free shipping for any order above $150 from the USGA’s golf shop. 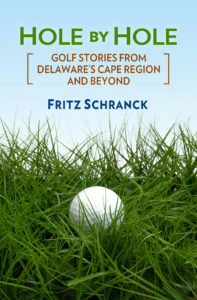 Cape Region golfers don’t have to worry about missing Cyber Monday, however. In a traditional upcoming column, I will discuss local options for Christmas gifts. Way back when, golfers with more money than sense kept their golf bag filled with more than 2 dozen golf clubs, of every size and shape imaginable. Eventually, the USGA and R&A decided that this situation was bad for the sport, and instituted a general rule that no more than 14 clubs could be in the golfer’s bag during any given round. Naturally, the presence of a limit means that some folks will try to stretch it, leading to the penalty provisions of Rule 4. On the other hand, the 14-club rule uses its own special triggers to go into effect. This was covered in a recent USGA Ruling of the Day. In the situation described, a player whose putter is letting him down decides to switch putters during the round. His bag had 14 clubs in it, including the less than helpful original putter. Somehow this golfer manages to retrieve another putter from his locker without unduly delaying his match. Before he tees off on the next hole, however, another player reminds him that he can’t replace or add another club to his original set of 14. Thus chastened, the player sets aside his second putter, puts the original one back in the bag, and continues on his round. According to the USGA, there’s no penalty here. Although the golfer screwed up by initially switching putters, thanks to the fellow competitor he didn’t violate Rule 4. That’s because he never made a stroke while using a golf bag that had the “extra” club in it. The other option for golfers with an occasionally balky putter is to take another golf club out of the bag and put two putters in there, along with 12 other clubs. This way, each putter knows it has to be on its best behavior, or it won’t be used.